Added an image of the baptism record of Humility Cooper. December 10, 2012 by Caleb Johnson. This is the first "Change Log" for the new MayflowerHistory.com, which went live the day after Thanksgiving. The Change-Log is intended to let you know which pages I have created or updated during the current week. 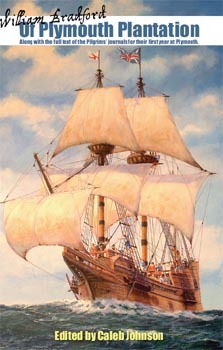 I added three new pages for the "History" section, namely the Provisions Lists (covering the items the Pilgrims brought on the Mayflower); the Cross-Section of the Mayflower (showing what the interior looked like); and the End of the Mayflower (covering the last years of the ship before it was scrapped). These were left off the original update to the site due to time constraints but I managed to get them finished this week. I have added "Sources and Bibliography" pages to John Alden, Isaac Allerton, and Bartholomew Allerton. I plan to slowly add these for each Mayflower passenger over time. The intent of these pages is to provide the primary source citations, and links to the said material, for all the critical facts related to each passenger, including their birth, marriage, death, and probate. I added new "autographs" to the Elizabeth (Tilley) Howland and William Mullins pages. In both cases they signed with a "mark", indicating they were not able to write their names. Many people in the 17th century never learned to write. December 7, 2012 by Caleb Johnson. 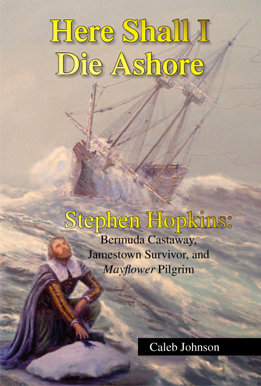 Caleb Johnson, author of Here Shall I Die Ashore: Stephen Hopkins, Bermuda Castaway, Jamestown Survivor and Mayflower Pilgrim, will be giving several presentations on Stephen Hopkins, the Sea Venture, and the Pilgrims, and signing books, on a cruise from Boston to Bermuda, and back, on June 14-21. Also tentatively scheduled to present is Simon Neal, the English records researcher who has worked with Caleb researching many of the Hopkins family lines in Hampshire. This is the second "Hopkins cruise" (the first cruise in June 2012 was a great success). The cruise is being organized by Rick Denham of the Pilgrim Hopkins Heritage Society and also the West Texas Colony of the General Society of Mayflower Descendants. For more information and to sign up for the cruise, please visit Caribbean Sunset Cruises, or contact Rick Denham (rick@caribbeansunsetcruises.com). The beach in Bermuda where Stephen Hopkins and the other Sea Venture castaways first came ashore after their 1609 shipwreck. December 1, 2012 by Caleb Johnson. The old MayflowerHistory.com website, 2002-2012. R.I.P. 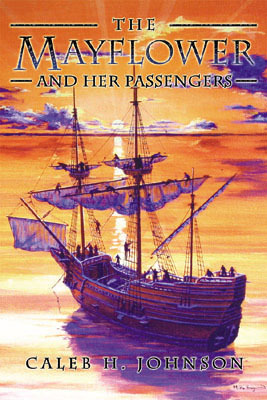 In 1994, I published the first-ever complete Mayflowerpassenger list on the web. Back then, most people visited the site with the text-only Lynx web browser! I redesigned the site in 1998 once graphics came in to more common usage; and again in 2002 when I first purchased the MayflowerHistory.com domain. Now, more than a decade later, I have finally gotten around to completely revamping the site once again. Everyone's links to my website (except for the home page itself) will probably be broken thanks to this complete redesign. Oh well, that's how progress is made! The primary reason I redesigned the site was to make it easier to update and maintain going forward. The old site was so cumbersome to maintain that I never did. This new site is far easier to maintain, which hopefully means it will stay current and start to expand once again. November 26, 2012 by Caleb Johnson.